A handful of hours ago, we shared news from Nintendo of America which stated that the Tetris Maximus Cup was returning for another round, this time with new rules. 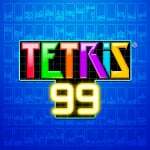 Now, Nintendo of Europe has also confirmed that the Tetris 99 Grand Prix (a similar event to North America's Maximus Cup) is also coming back. This second Grand Prix has adopted the new rules from the second North American event, but this tweet below explains the rules a little more clearly. That's right, securing a top 80 place will reward you with points (with the number of points growing the higher you place). Every time you score 100 points, you'll get another shot at being one of the lucky so-and-sos to walk away with 999 Gold Points to spend on the eShop. Finally we don't have to spend all day hoping for just one victory! Will you be taking part? Do you like the sound of the new rules? Let us know below. I don't know if it actually makes things easier or there will be more people eligible, so the chances of getting the 999 points will diminish. I got a win last time and didn't get the prize, but just can't count the amount of times I finished in the top 10. If I play like I did before, aiming for one win, I should give myself plenty of chances! Ultimately, luck still decides. Bring it! @dystome Yes, it is. The last event I got 22 victories and still didn't win the gold points. It was restricted to italian players so it was pretty easy, no japanese wizards! I find it amazing that after all this time, Pajitnov's creation is still played and loved by millions. It's clearly going to become one of the many timeless games played for decades to come. Won a round last time, but did not win any points. Not holding out much hope this time, especially since it seems winning the gold points will be harder this time as more people are now eligible, but who I am I kidding? I will probably still put a lot of time into this. Looking forward to it. Good luck everyone! @Moroboshi876 I agree, I fluked a win last time but didn't get any gold points. Now I haven't got a prayer! @booker_steve Theoretically it improves my chances because I've never won, but I can place 3rd. For a usual winner, though, I think it reduces the chances. Last time some people I know got their 999 points after winning, so I thought maybe there wasn't so many people in Europe with the level or luck to win. Anyway, if they award you points just for placing above 80th, it means the more you play, the more chances you get. So I'm out, because I can't spend all the weekend playing. It rewards the sheer participation, and it should reward the skill. I know the higher the better, but maybe someone can actually spend 72 hours playing and getting 100 points every time and wins. I hope there's a clear indicator in-game of when you earn points and how many you've currently earned. I'm pretty consistent with reaching top 10, and getting a win roughly a third of the time, so this should be a nice event. I also appreciate that the competition is not about who has the most points, but earning points means more chances. > Finally we don't have to spend all day hoping for just one victory! Indeed. Now we only have to spend all day trying to earn as many points as possilbe. I got 97 victories out of 250. But I will be traveling that weekend, too bad. @Johnno137426 this time you don't have to win. Play the best you can and have fun. Every 100 points is an entry ticket so go for it. I'm yet to win a game...best I've done is 11th, I think. Hold up, I thought it was the top 999 players who got the coins. Is it more like a draw where every 100 points gets your name entered? Well that's me in luck then! I like the rule change.